Who Is Charles Manson, Is He Dead, Who Are The Children, Wife, Family? One of the most notorious murderers of the 20th century, Charles Manson was the face of evil for most people. A fanatical cult leader and convicted murderer, the infamous Manson masterminded a string of grisly murders, all of which were done not by him, but by his followers at his behest. Beyond his fame as the wild-eyed leader of the violent cult known as The Manson Family, the habitual criminal was also a failed musician. For some though, Manson was a wrongly convicted crusader who had spent most of his life behind bars but remains an enigma who should be held in high esteem. For such cadre of people, he is perhaps the most culturally persistent and inscrutable leader. Manson was born Charles Milles Maddox on Nov. 12, 1934, in Cincinnati, Ohio, to Kathleen Maddox, a 16-year-old unwed teenager. Growing up, Manson’s mother who was often described as a prostitute and heavy drinker, reportedly sold him for a pitcher of beer to a woman who wanted children but he was later retrieved by his uncle. While details about Manson’s father are publicly unavailable, it is known that his mother later married another man, William Manson, and the young Charles adopted his stepfather’s last name. From his childhood, Charlie inspired a terrifying loyalty and from his teenage years. He had a history of manipulation, controlling behavior and mental illnesses. For many years, he was in and out of reform schools and prison for various crimes. Manson garnered irrevocable attention in the late 1960s as the leader of the Manson Family, a murderous band in California, made of mostly young middle-class women who carried out killings on his behalf. 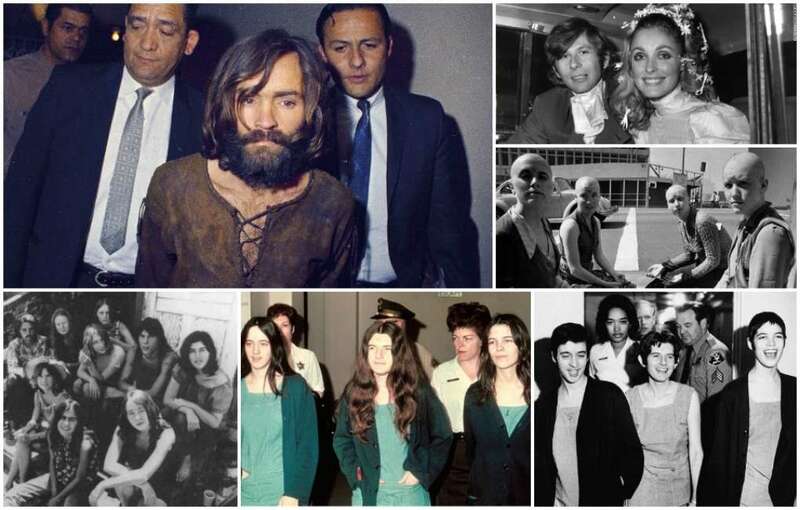 The infamous killings linked to Manson’s cult were part of a series of nine murders which happened in 1969. Particularly, he was known for instigating the seven brutal killings collectively called the Tate-LaBianca murders. Manson and his cult earned notoriety following the sheer gruesomeness and bizarre background to the killings. During his frequent stays in and out of prison, Manson had learned to play the guitar and hoped to make it as a singer-songwriter. Between 1967 and 1968, Manson met Gary Hinman, a music teacher who introduced him to Dennis Wilson, the drummer of the Beach Boys. Wilson introduced Manson to music producer, Terry Melcher who initially expressed interest in Manson’s music but later decided against working with the cult-leader. Apparently angered by this development, Manson triggered one of the most heinous murder sprees in American history. Manson first ordered some of his followers to first kill Gary Hinman in July 1969. But the most famous and high profile of Manson’s victims was Sharon Tate, an actress who was married to the film director, Roman Polanski. Unfortunately, it was unknown to the notorious group that producer Melcher had moved out of his home on Cielo Drive, and leased the house to film director, Roman Polanski and his wife, actress Sharon Tate. Roman Polanski’s wife Sharon who was then an upcoming actress, ultimately met her untimely death because they had picked the wrong house. Also at Manson’s behest, his ardent followers gruesomely murdered everyone they found in the producer’s former home in the Benedict Canyon area of Los Angeles, in August 1969. The victims of the brutal murder were eight and a half months pregnant actress Sharon Tate and four other people. Polanski was in Europe the night the killings took place. The following night, Manson ordered the brutal murders of grocer Leno LaBianca and his wife Rosemary. Manson had hoped the murders and revenge on Melcher would trigger a race war he called ‘Helter Skelter’ which would ultimately crown him king of the world and leader of a new social order. Manson and his followers were later apprehended and tried. For his role in the killings, he was convicted on seven counts of first-degree murder and sentenced to nine consecutive life sentences. During his 45-year stint in prison, Manson was denied parole 22 times. While incarcerated, Manson was hardly a model inmate, as he accrued multiple serious disciplinary violations and was elevated to something of a cult figure. All through his life, Manson acquired a weird celebrity status, attracting fanatical followers who elevated him to a position of near divinity, as well as pen pals and even collectors of his jail-cell creations. Who Are The Children, Wife, Family? Throughout his life, Manson was married twice. His first marriage was to Rosalie Jean Willis, a waitress in 1955, but the marriage was shortlived. A few years later in the early 1960’s, he married a woman named Leona whose last name is not publicly known. The marriage also ended in a divorce. In November 2013, a young pen pal, Afton Burton, who called herself ‘Star’ came out claiming that she considers herself to be Manson’s wife. Sources later confirmed that Manson and Star actually had a marriage license together but their marriage was later called off in February 2015. Manson is believed to have fathered at least two children, one with his first wife Rosalie; Charles M. Manson Jr. and another Charles Luther Manson whom he had with an unknown woman. However, the exact number and names of his children remain unconfirmed. After being incarcerated for more than 45 years, Charles Manson died of natural causes at age 83, on November 19, 2017. His death came two days after being transported to a hospital in Bakersfield, California. However, a posthumous legal battle ensued over Manson’s remains. The four contenders for the notorious cult leader’s body were two men claiming to be his son, another man claiming to be his grandson and a longtime pen pal. But after a four-month battle over Manson’s corpse, in March 2018, a Kern County judge ruled in favor of Jason Freeman who claimed he is Manson’s grandson. Jason Freeman who is purportedly the son of Charles Manson Jr. later revealed that he planned to cremate Manson’s body and scatter the ashes in an unknown location.